Working so as not to vanish the efforts made in terms of digitisation and confirming the Industry 4.0 plan, which has had a positive impact on economy, helping Italy’s export increase by +7% and its private investments by +30%. Vincenzo Boccia – President of Confindustria – made his position clear during the annual meeting of industrialists recently held in Rome. Boccia’s words are supported by ISTAT’s recent analysis, which shows how structural innovation provides a considerable competitive advantage. 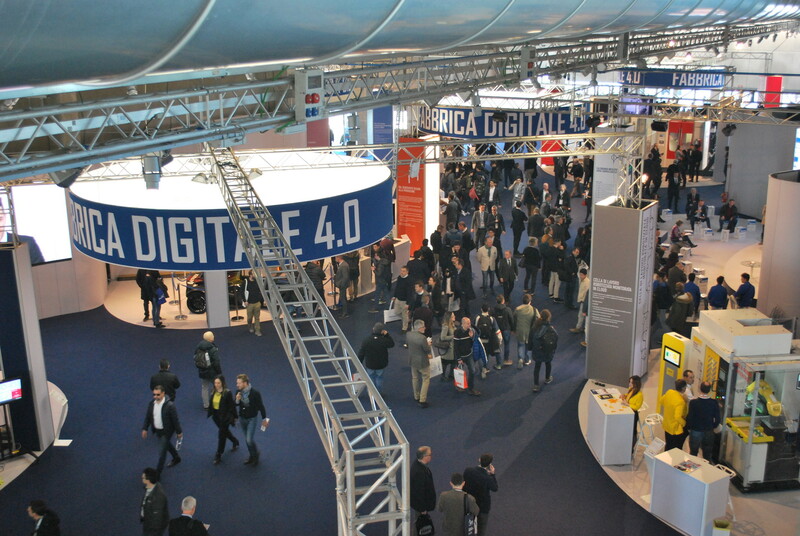 In fact, according to the Italian National Institute of Statistics, although only 3% of Italy’s companies has shifted to digital, this same percentage is included in the 24% of the added value produced in Italy. Based on this context, the figures of the last edition of MECSPE have gained in value: 53,442 visitors (+17% compared to 2017), 2,260 attending companies, and 110,000 m2 of exhibition space prove the consistent growth of this trade fair, which will be back in 2019 at Fiere di Parma from 28 to 30 March. But, if last edition’s figures are so positive, what can we say about the satisfaction of visitors and exhibitors, also in view of next year’s edition? The data resulting from the customer satisfaction survey are clear: over 3 visitors out of 4 were happy with the event and 62.6% of those who attended the 2017 edition have noticed an improvement. In terms of visitors’ objectives, those that were achieved with the best level of satisfaction were: visiting suppliers (74.8%), learning about the market’s latest trends (70.4%), participating in training and refresher courses (61.2%), and attending workshops (59.5%). Among those who attended the trade fair by company position, representatives of technical offices were the most numerous (13.7% of the total), followed by company owners (12.8%). This proves once again that MECSPE is the perfect trade fair for those who are committed to their industrial context every day. But this is not all, as 60% of those who took part in the special initiatives this year at MECSPE said they felt professionally enriched, 57.2% declared they were culturally enriched by this experience, and 50.6% said they were going home with a new set of skills. Even according to the exhibitors, the event was a great success, as 77.9% of them would recommend others to attend the trade fair. 110,000 sqm of exhibition space. Machines and tools – machine tools, tool and equipment; Digital Factory – information technologies for intelligent factory management; Motek Italy – factory automation; Power Drive – Systems- Parts – Mechatronics; Control Italy – metrology and quality control; Logistics – systems for logistic management, machines and equipment; Mechanical Subcontracting – subcontracting of industrial processing; Electronic Subcontracting – design, electronic processing, parts and accessories; Eurostampi, Machines and plastic subcontracting – moulds and moulding; the processing of plastic materials from rubber and composites; Additive Manufacturing – rapid prototyping and 3D printing; Processing and Finishing – machines and installations for processing and finishing of surfaces; Non-ferrous materials and alloys – aluminium, titanium, magnesium.